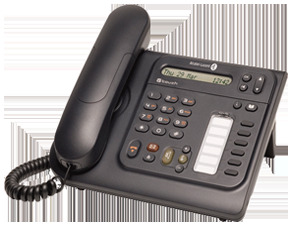 The Alcatel-Lucent OpenTouch is a modular voice communications system that can be configured to fit the needs of any business. Modular platform grows from 10 to 100,000 users spread across multiple geographical sites. Web softphone improves real-time communication flow, providing access to corporate directory, messaging systems, third-party CRM/ERP applications, etc. The touch screen interface on the Alcatel-Lucent 8082 phone makes video calls simple to initiate and manage. Seamlessly hand off calls between any devices, including cell phone, office phone, deskphone, tablet, smart board or conference phone. Use the device that best suits the time and place without sacrificing access to features and services without loss of functionality. Communicate when you want, wherever you are, from whatever device is most convenient. OpenTouch works across all of your devices, smartphone, tablet, PC, land line and lets you freely move between devices even during an active conversation. Escalate from IM to voice to video on a single conversation with Rapid Session Shift.